The list of aging rock ‘n’ roll musicians who have damaged their hearing after a long career on stage is growing. Eric Clapton told the BBC this year that he is going deaf. And in March, Roger Daltrey, the front man of The Who, told concertgoers that he is “very, very deaf,” and relies on hearing aids while performing. But the issue of noise-induced hearing loss is a problem for classical musicians, too. Hauck’s long career included playing at the White House for the Kennedys. She’s played in a string quartet with Yo-Yo Ma, and performed in the Middle East. But one day, while playing a Bach cantata at the Emmanuel Church in Boston, Hauck says she couldn’t follow along with the music. Hauck can’t say for sure if it’s her career in music that led to her moderate-to-severe hearing loss. But there is a known connection. Researchers say years of exposure to an orchestra can take their toll. According to one German study, professional musicians were nearly four times more likely to experience noise-induced hearing loss. Another found that nearly 60 percent of classical musicians have damaged hearing. “It turns out classical music is more damaging than rock and roll,” says Marshall Chasin, an audiologist who works with musicians in Toronto. 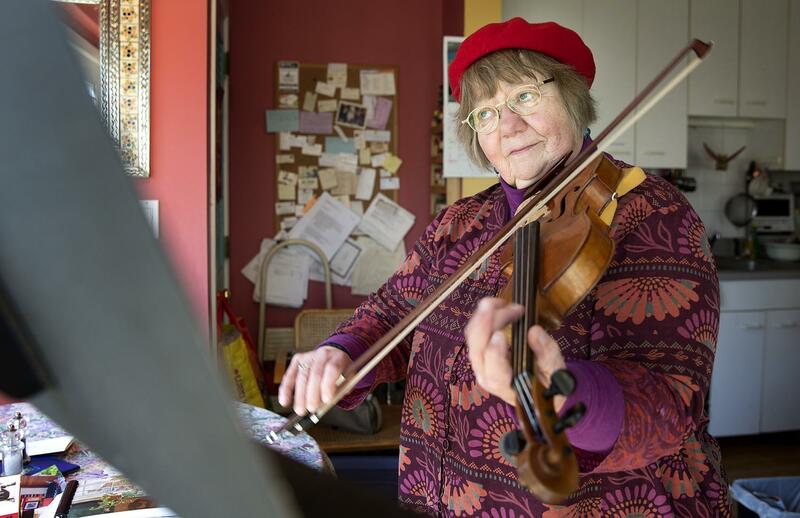 For Betty Hauck — and for most musicians — the hearing loss was gradual. And she was not prepared to deal with it. Hauck practiced with hearing aids for a while, and then used them during performances. But eventually, they weren’t enough. Hauck gave up music. 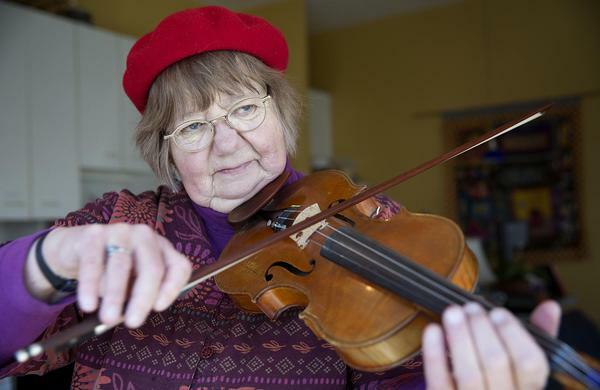 She didn’t touch her beloved viola, which she had owned since 1969. But it wasn’t a neutral event. It took three difficult years for Hauck to accept the loss of her hearing, her career and the music that had been such a big part of her life. 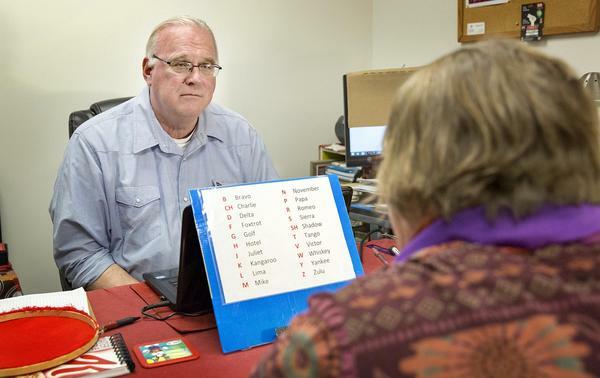 She began working with an auditory trainer, and meeting other people who had also suffered hearing loss. Today, at 72, Hauck is playing again. She performs small concerts at churches or at retirement homes for people who struggle to enjoy music after they experienced some kind of hearing loss. Losing your hearing can make listening to music physically uncomfortable. Any song with more than one instrument can be impossible to make out. So when an audience sits in front of Hauck in a quiet room, as she plays a single viola, there’s a chance they can hear her.